For his latest project, Al Letson takes all the things that are floating in his head and turns it into a mixtape of delight for you. 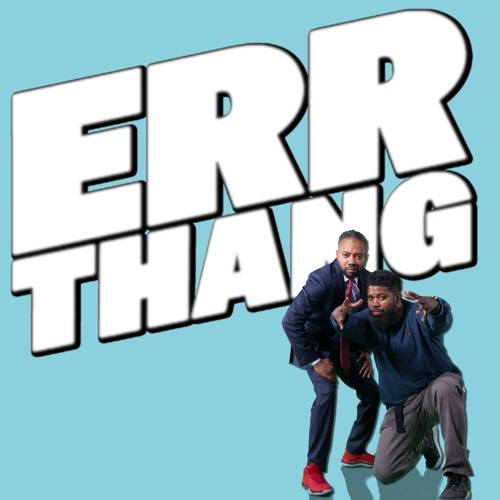 Errthang is just that, everything from storytelling to radio drama, pop culture reviews to interviews with some of the most interesting people on the planet. It's a vehicle to showcase all of Letson's other talents. The podcast will give you errthang you need, beginning in May of 2015. Season 2, Episode 8: Songs in the Key of our Lives by Errthang Show! Season 2, Episode 7: John Coffey Refuses to Save the World by Errthang Show! Season 2, Episode 6: John Coffey Refuses to Save the World by Errthang Show! Season 2, Episode 5: How to Slowly Kill Yourself and Others in America by Errthang Show! Season 2, Episode 4: The Good Guy Myth by Errthang Show! Season 2, Episode 3: No Ordinary Love by Errthang Show! Season 2, Episode 2: What the Hell is Wrong with Al? by Errthang Show! Season 2, Episode 1: 808s and 3 Heartbreaks by Errthang Show! Radiotopia Promo! by Errthang Show! Season 1, Episode 6: Guess Who's Coming To Dinner? by Errthang Show!